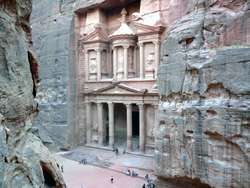 Many film crews will have heard about the natural wonders of the Jordanian landscape and its biggest gem, the Nabataean city of Petra. Renowned for its rock-cut architecture, this breathtaking site was named one of the wonders of the world. Our Production Services in Jordan include amazing overnight camping trips to Petra with full board, where crews can film stunning sunrises and sunsets from spots on the mountains surrounding Petra. Although Jordan is mainly known for this World Heritage Site, film crews can discover a lot more in this amazing shooting location. 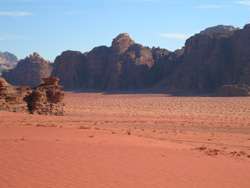 Since much of its land is covered by desert, one can find beautiful desert scenery in central and southern Jordan; bizarre, but elaborate cliff formations and a variety of stunning rock colors, for example, in Wadi Rum, Wadi Araba and in the area of Mount Nebo. Our Production Services in Jordan will make sure that we find the best location for your shoot whether it be the desert, Amman, small villages or the Dead Sea. Jordan has an ancient history and enjoyed lengthy periods of wealth and prosperity through the Kingdom of Petra and the Nabataeans who engaged actively in agriculture and trade of expensive goods such as spices, oils and perfume. The Roman emperor, Trajan, eventually conquered Jordan and annexed the kingdom to the Roman Empire, and much of the Nabataean culture with their trade secrets and trade routes was lost forever. 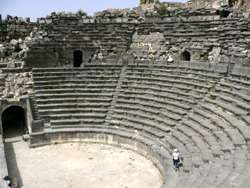 The remains of ancient Roman towns, as well as the remains of a first century village located not far from Petra, are terrific filming locations for film crews looking for archaeological and historical sites from this period. Our Production Services in Jordan will also connect you with the leading archaeologists, historians and experts in the field who can contribute to your shoot in Jordan. 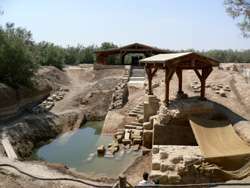 For film crews interested in finding biblical locations, our Production Services in Jordan will guide the crews to diverse and interesting sites such as Lot’s Cave and Monastery, the place where Lot’s wife was turned into a pillar of salt; Mount Nebo, the final station in the life of Moses; the Monastery of St John the Baptist and the Baptism site of Bethany along the Jordan River. 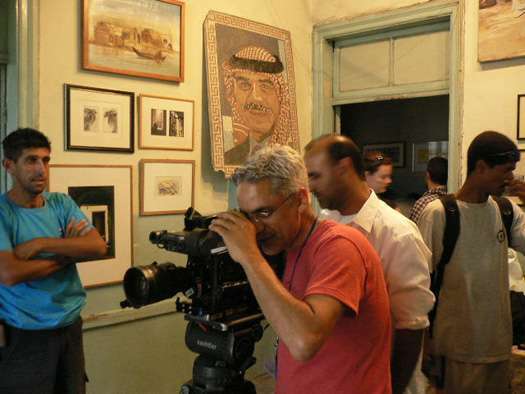 With its proximity to Israel and especially to Jerusalem, Jordan is a unique, accessible and safe filming location. Biblical Productions prides itself on working closely with the V.I.P. Services at all border crossings and conducting risk assessment as part of our Production Services in Israel and Production Services in Jordan. For more information on Production Services in Jordan, please email us at: info@biblicalproductions.com or call us at: +972 (0) 52 479 2200.